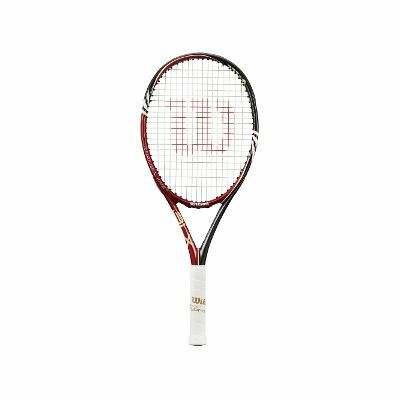 The BLX technology uses basalt, a natural volcanic rock, in the production of the racket. Basalt is woven longitudinally with Karophite Black, a next generation nanoscopic material, to create one of the most advanced materials on the market. 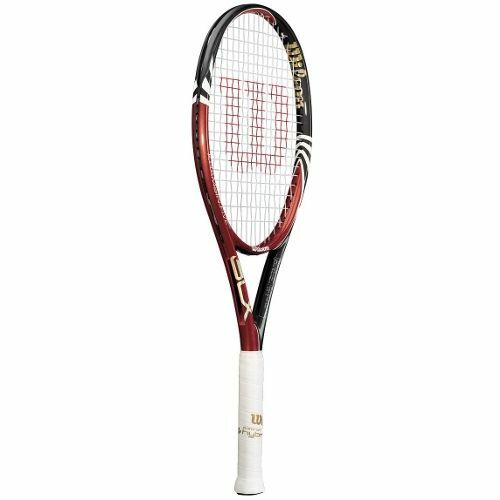 Thanks to that the Wilson Khamsin Five 108 BLX tennis racket offers a great vibration resistance and a clean feedback. The Triad technology is an revolutionary frame construction using three separate frame parts. 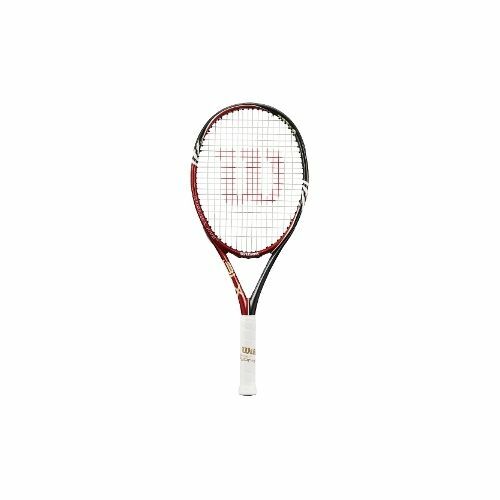 A shock absorbing polymer is sandwiched between the rackets hoop and handle and filters uncomfortable shock and vibration. Triad technology offers a supreme combination of performance and comfort. Head size: 108 sq. in. for submitting product review about Wilson Khamsin Five 108 BLX Tennis Racket.